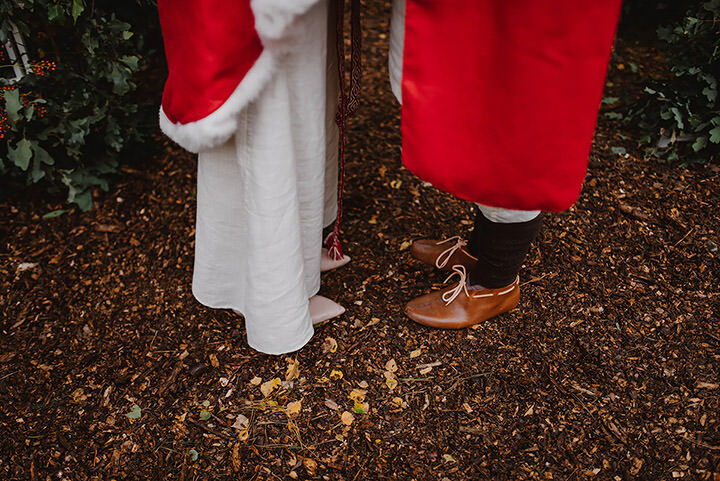 I have something super special for you today, courtesy of Ajem Stories. 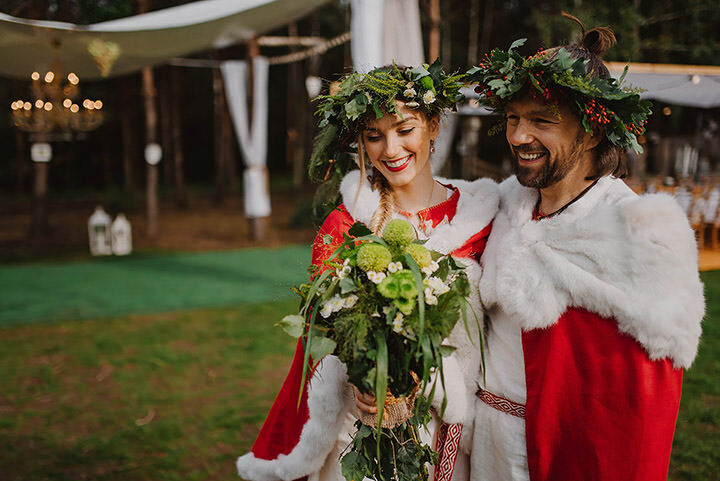 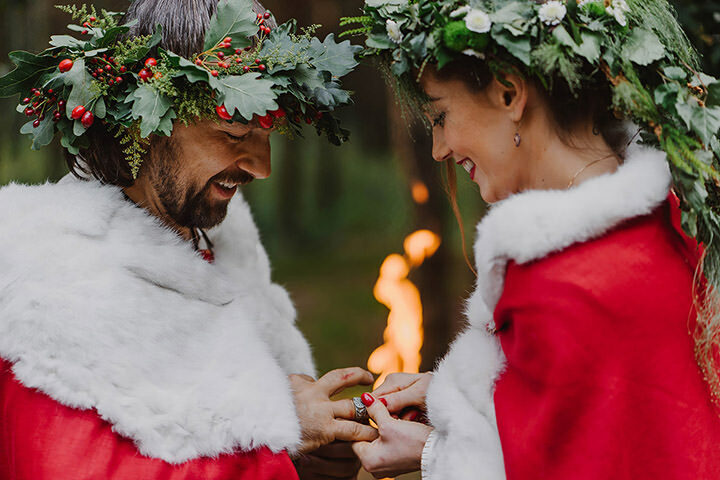 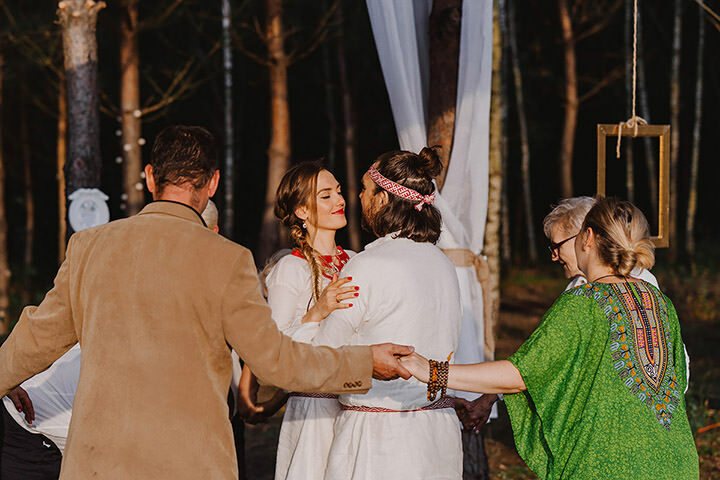 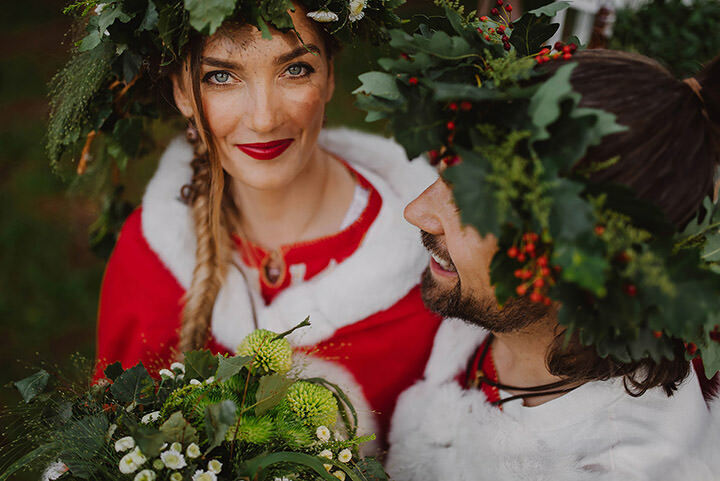 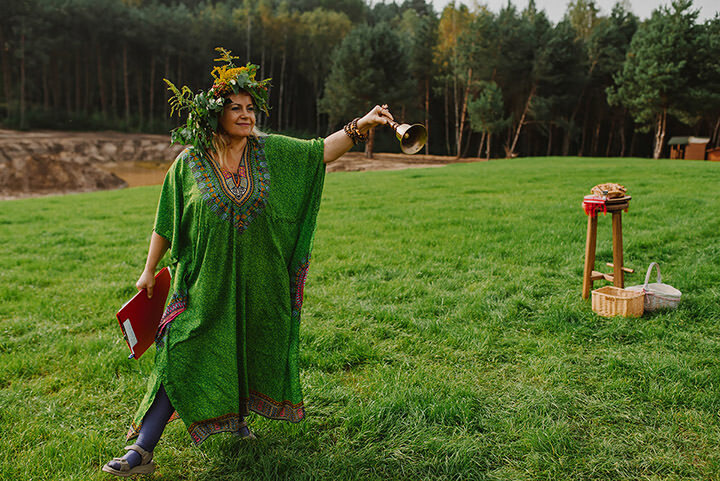 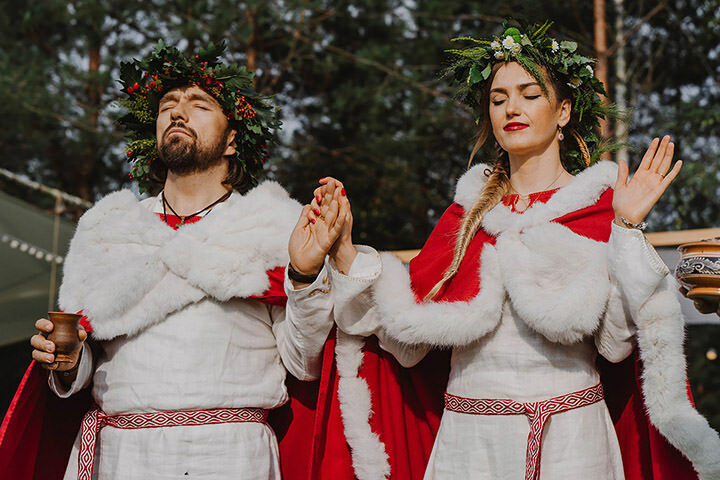 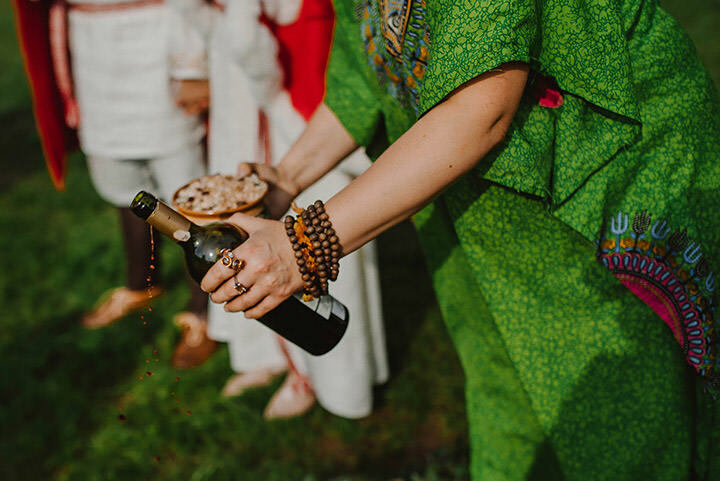 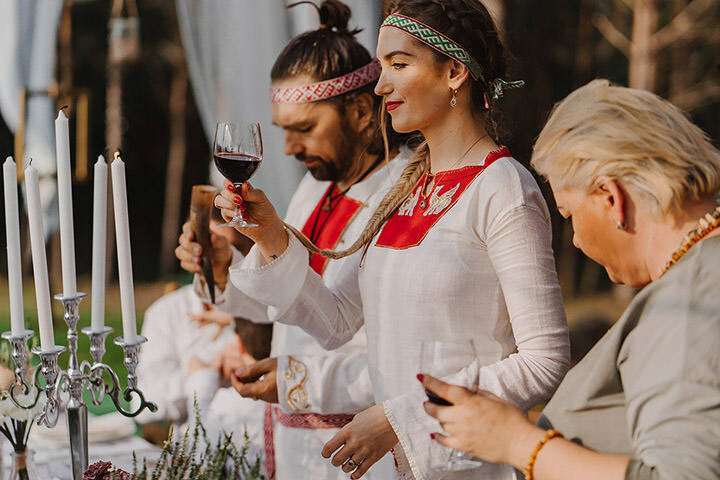 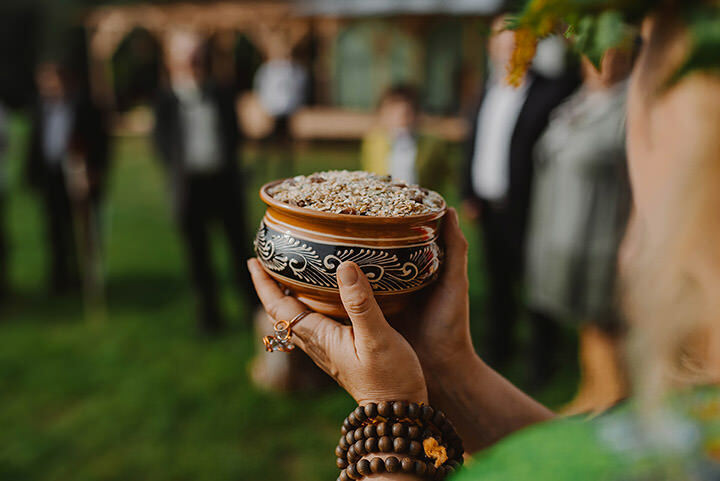 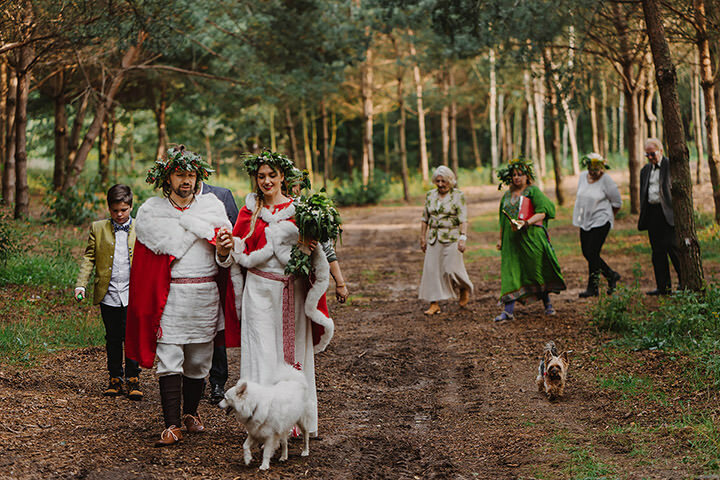 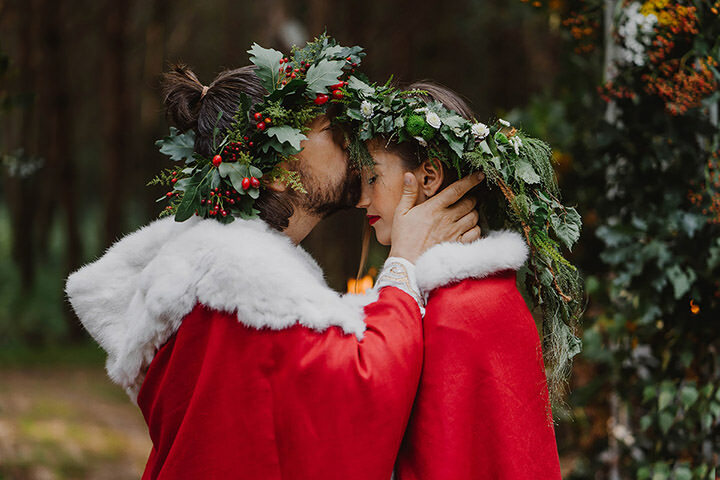 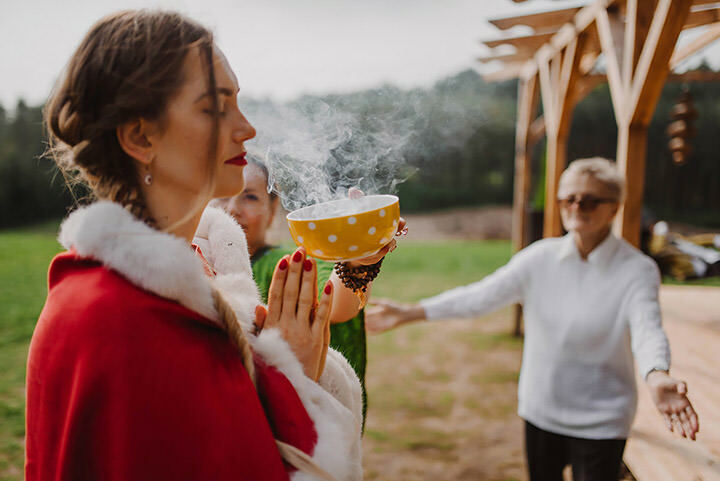 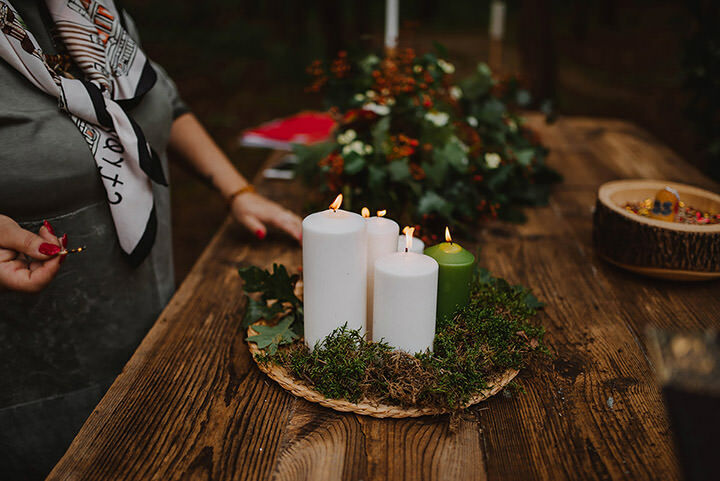 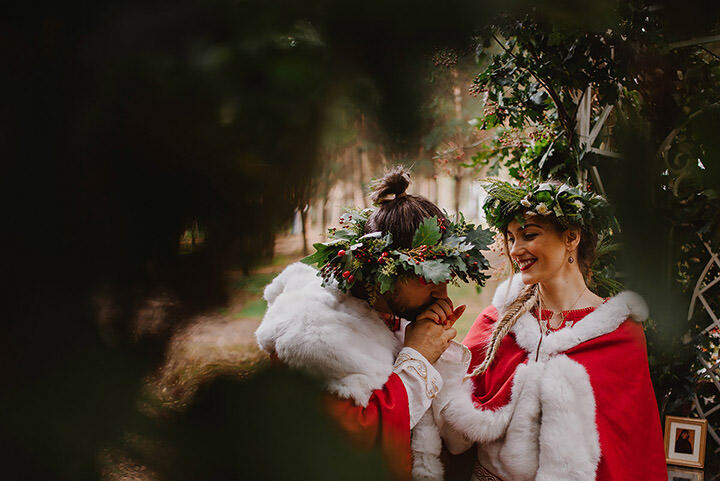 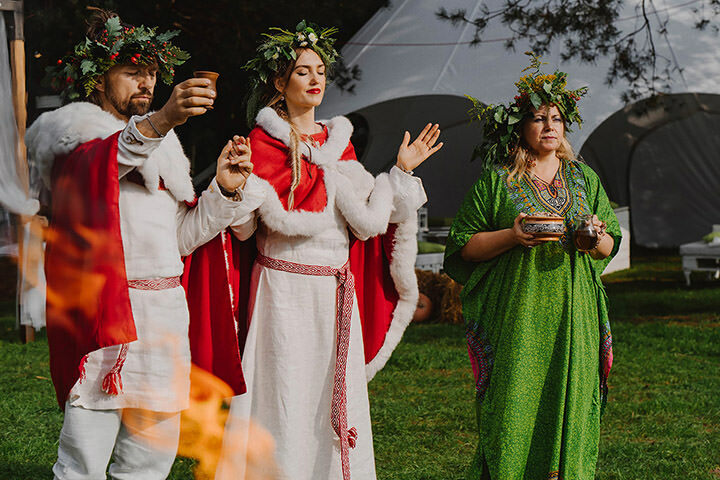 This traditional slavic pagan wedding, although set in September, is filled with festive cheer and so many gorgeous rituals and traditions. 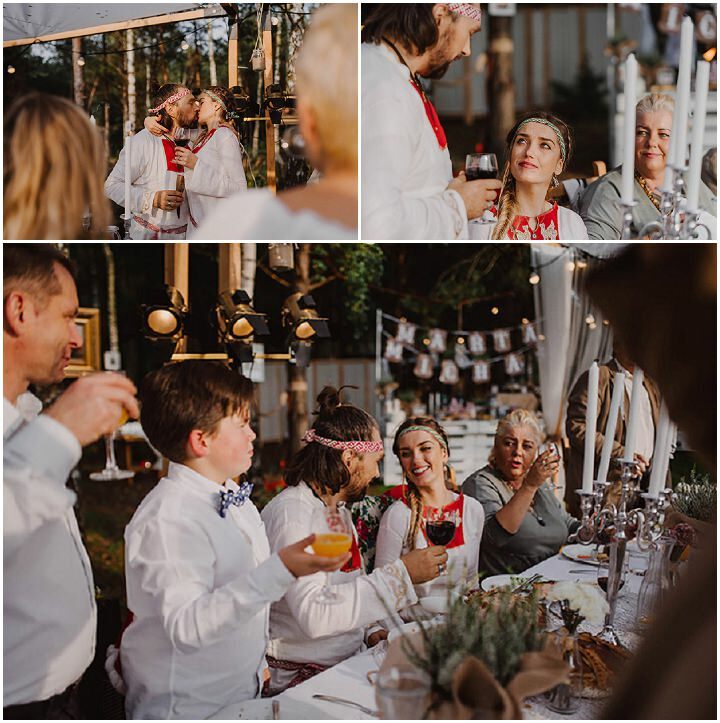 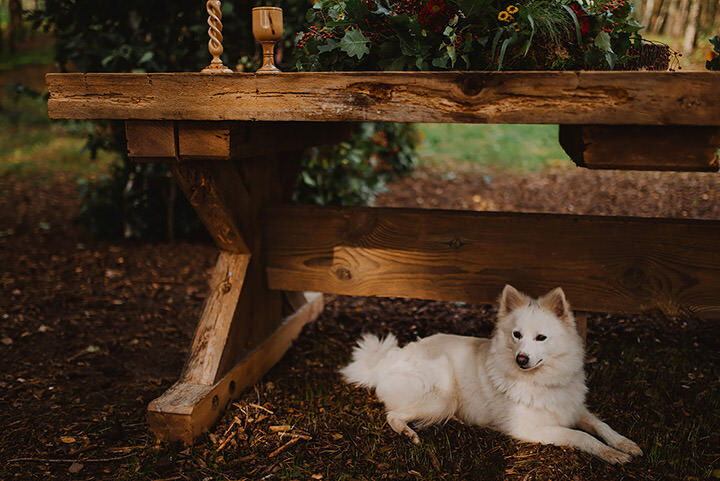 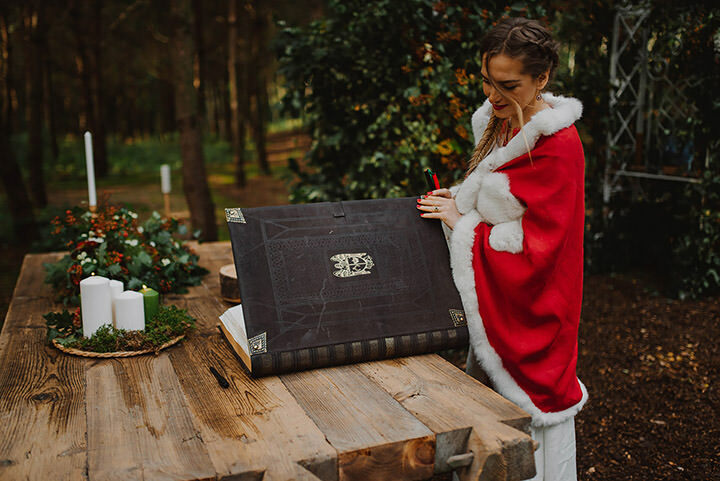 They held the ceremony in the backyard of their own property with the aim of one day building their family home on it – which made the ceremony even more special. 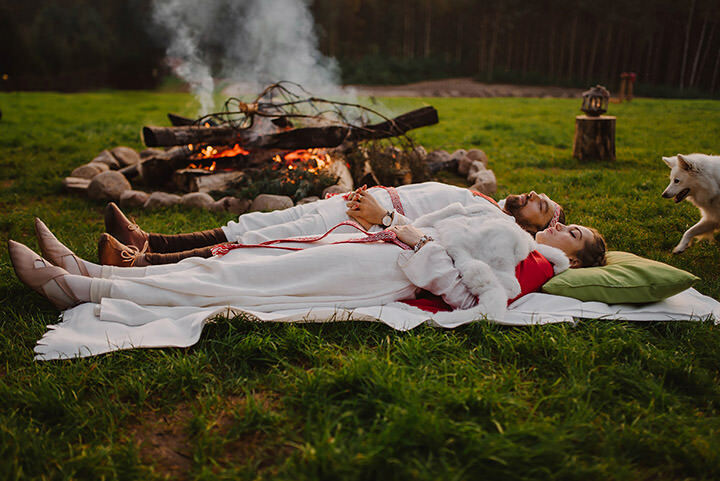 The day was filled with fire, meditation, candles, relaxation, dancing, food, love and a huge respect for their surroundings. 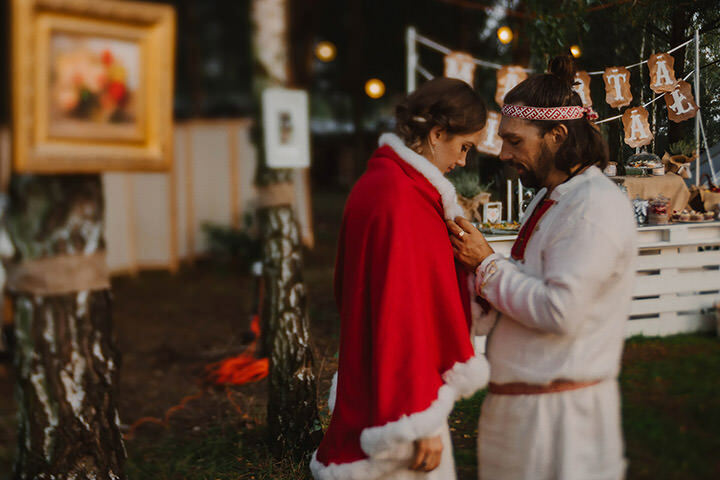 This wedding is one of a kind that I’m sure you will agree is something truly beautiful. 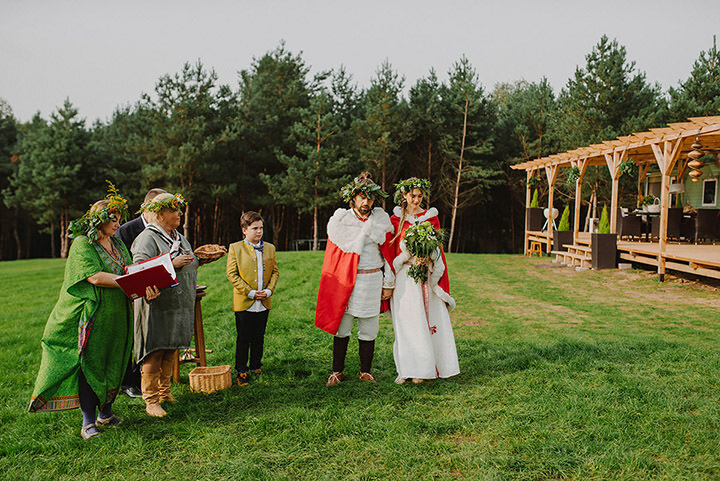 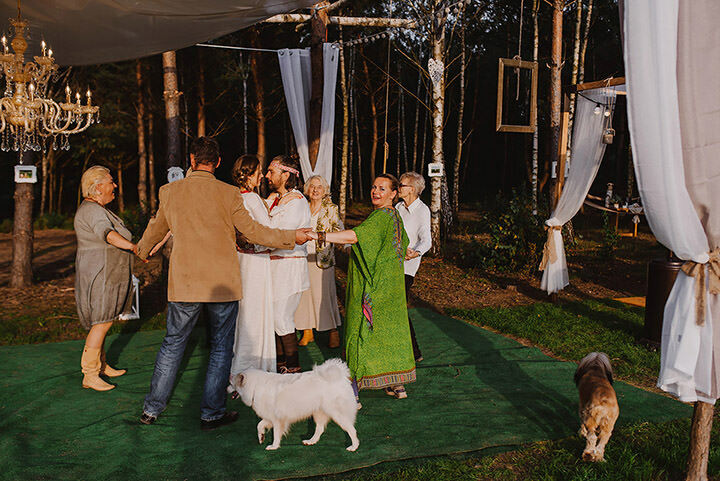 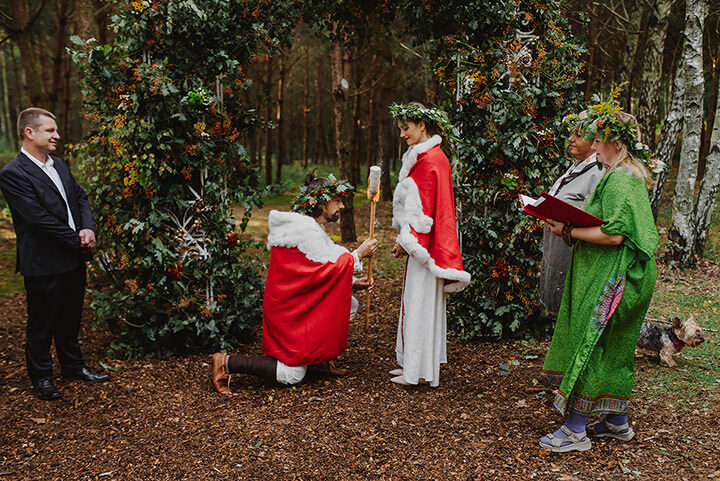 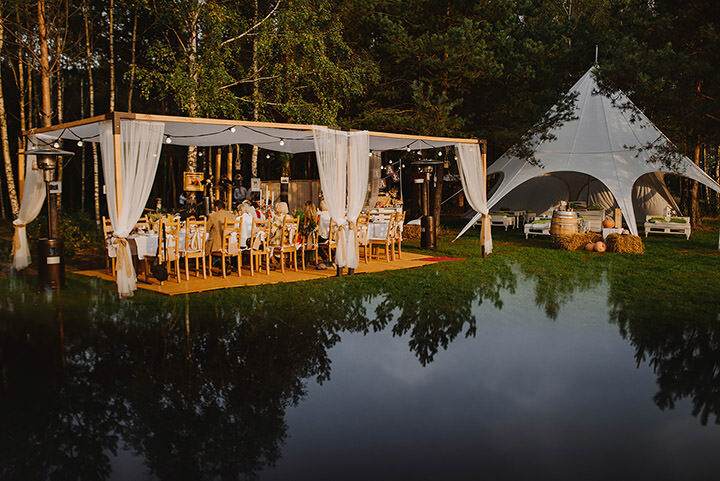 Traditional Slavic wedding based on a strong belief in divine, unconditional love of nature. 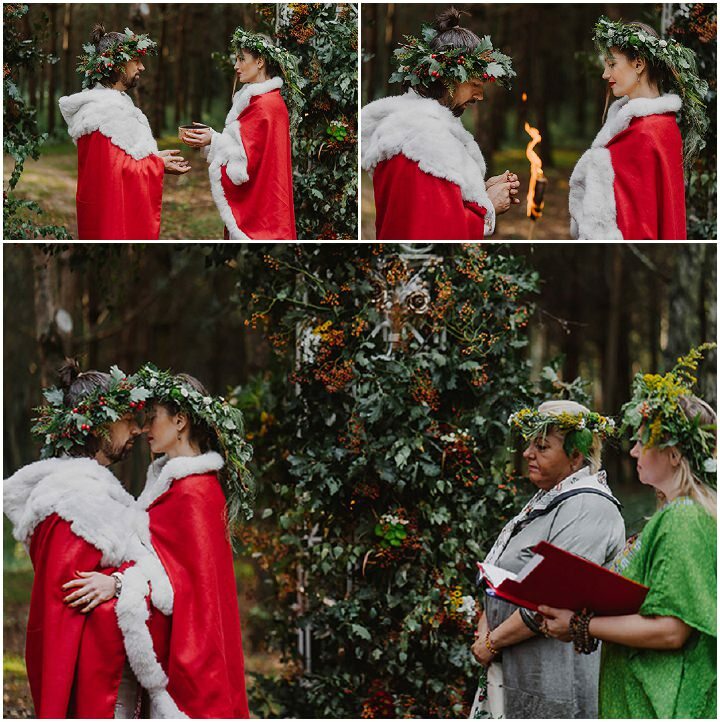 The ceremony was very intimate, touching, emotional and unforgettable. 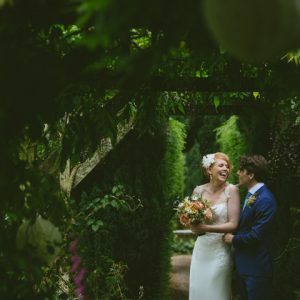 We met Marzena and Adam, from ajem stories, fine art weddings, a few years ago and knew they were perfect to be there for us and we would feel relaxed with them. 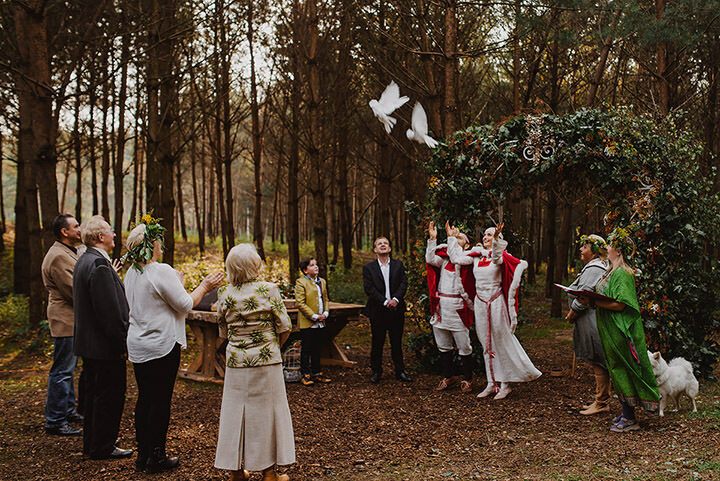 The dress and all pieces were made by myself, my mum and some closest friends. 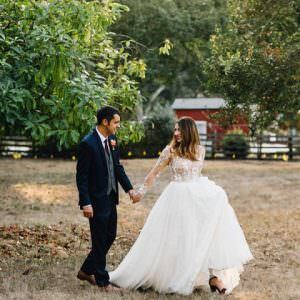 The same as the dress. 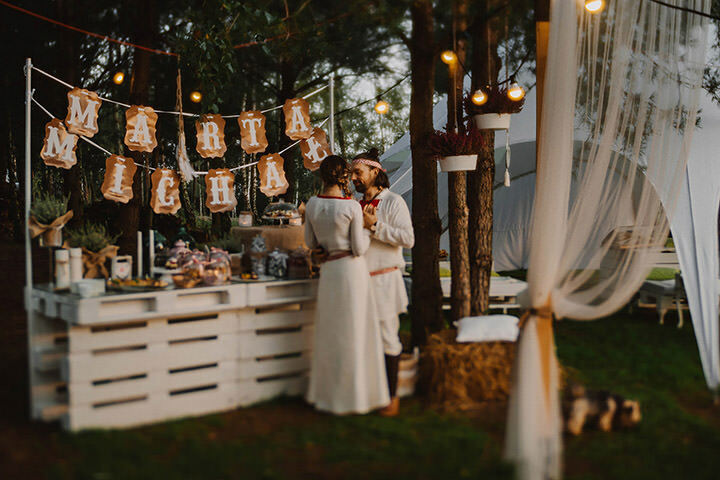 No, just cupcakes and sweet table. 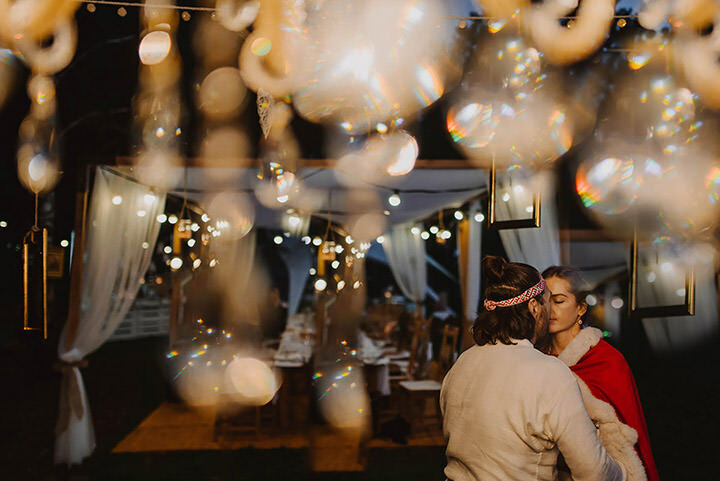 Dances by the fire, paper lanterns. 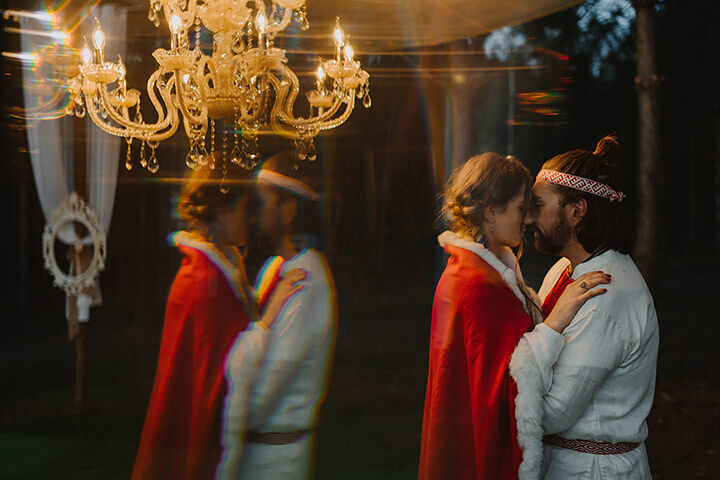 The whole venue, decorations, clothes, headpieces, everything was DIY. 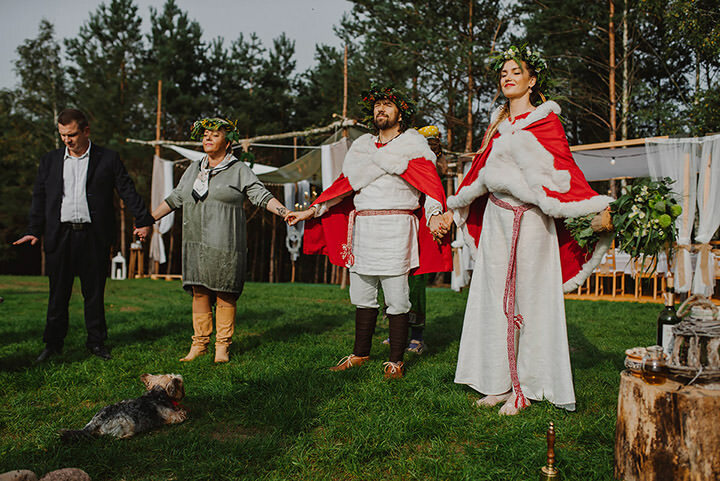 We followed most of the traditional rites of a Slavic pagan wedding and really enjoyed the rituals. 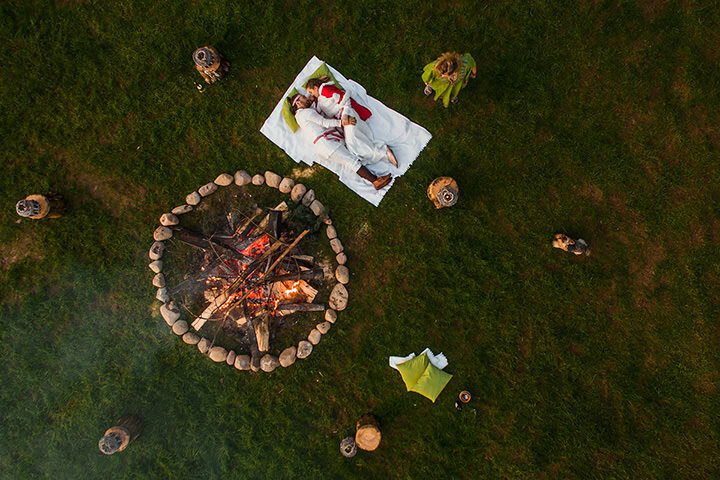 We deeply felt our bond is strenghtening since we focused on each other so much. 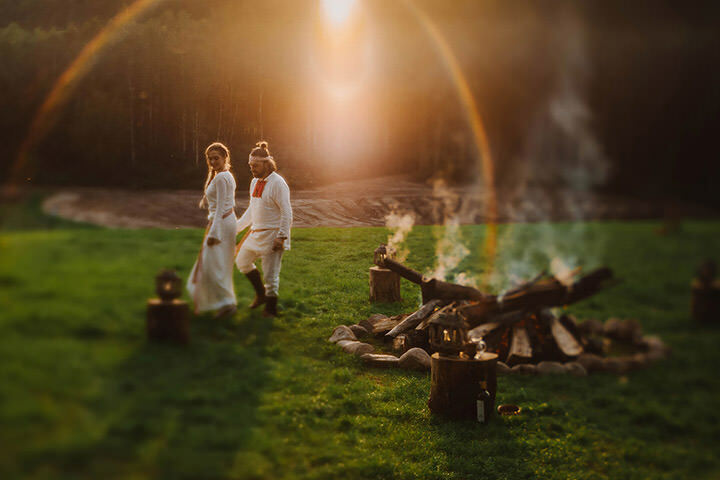 We lit candles, exchanged vows and rings, meditated by the fireplace, all these small rituals can be very powerful and calming when you relax and think only about love and nature. 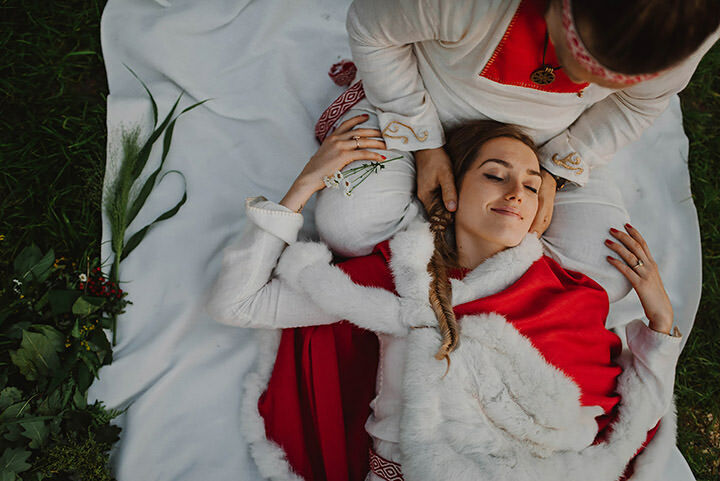 Do not stress out, it’s your day, focus on your relationship, your partner and your feelings. 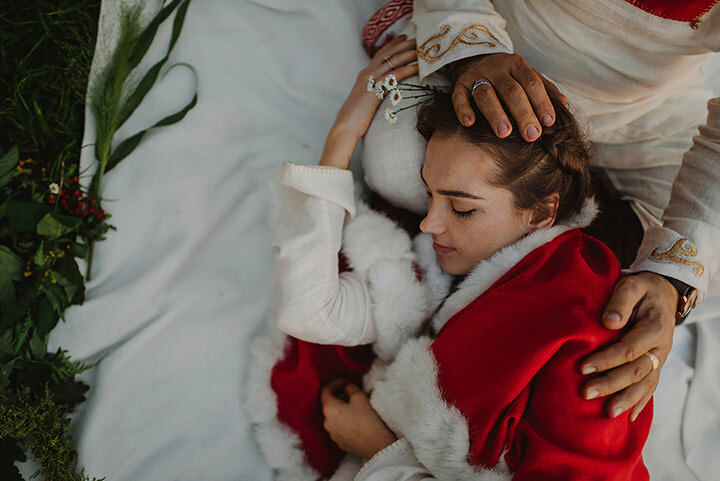 That’s the most important. 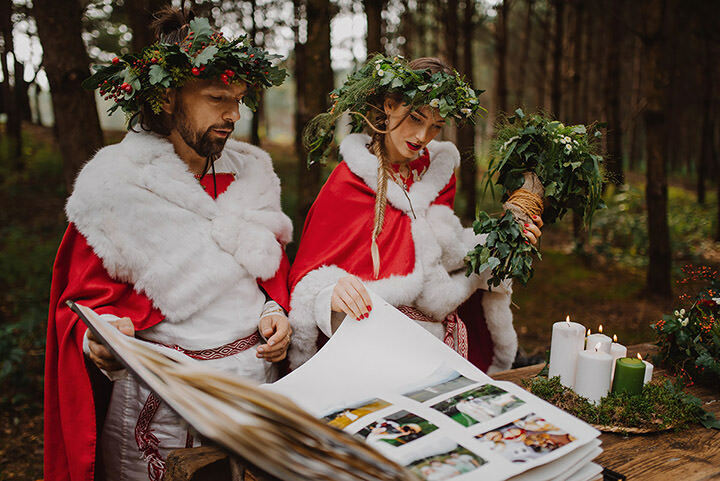 We are based in Poland, but travel a lot to destination weddings. 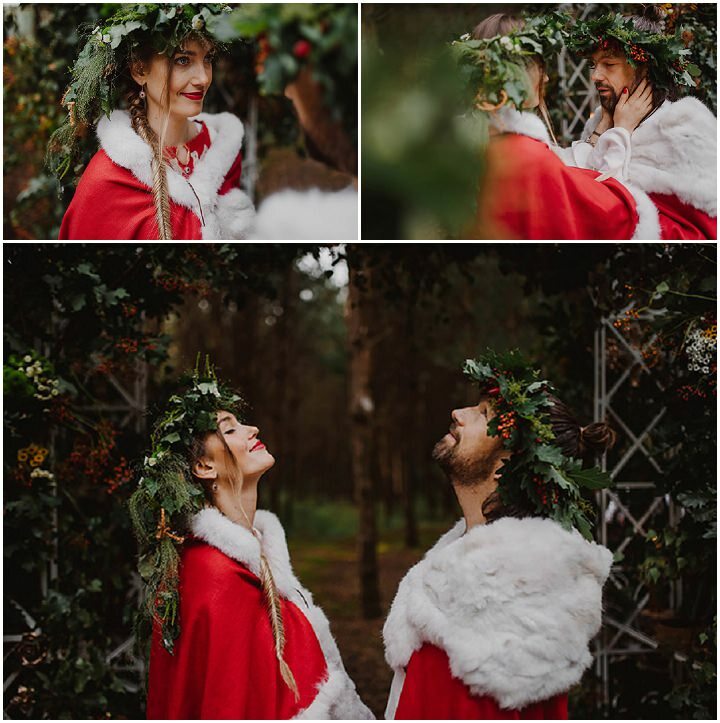 It’s important for our film and photography to be natural, sensitive and we have an individual approach to every couple.